In this article we are going to find out how to fix annoying problem on Windows 10. 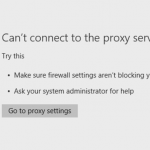 When you try to go in Web, it says Can’t connect to the proxy server. And if you are using Google Chrome, it says “Unable to connect to the proxy server”. So if you have this issue, basically any website displays the same error. Altogether this problem prevents you from going to the Internet. But here’s the good news. It’s really easy to fix and there are many ways to do it. 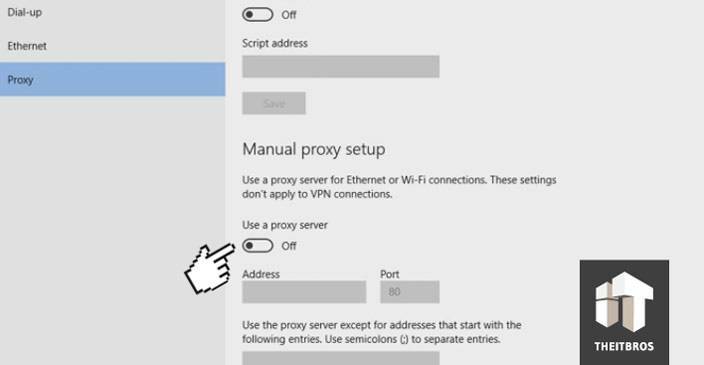 This time we are going to find out 4 different ways to fix “Can’t connect to the proxy server” problem. If one of these ways for some reason is not working for you, you can try another way. But in the end of this article you should be able to fix it. At first you need to know what is the cause of this problem. That sort of problem is usually caused when you or another program accidentally unable to connect to the proxy server. Here is how you can do that. Click on Start button and go to Settings. Now, click on Network & Internet, and then on the left side click on Proxy. You will see couple of settings, one of which is Manual proxy server. Turn off the feature “Use a proxy server”. Now test the internet connection to make sure the problem is solved. Open up your browser and try to connect to any web page. If it works it is just fine. For some reason you cannot use Settings or it is just not working for you. Here is another way to fix this issue. You can use a System Restore tool. It allows you to restore your computer back to an earlier update. Let’s say this problem started for you today and two days earlier you did not have this problem. 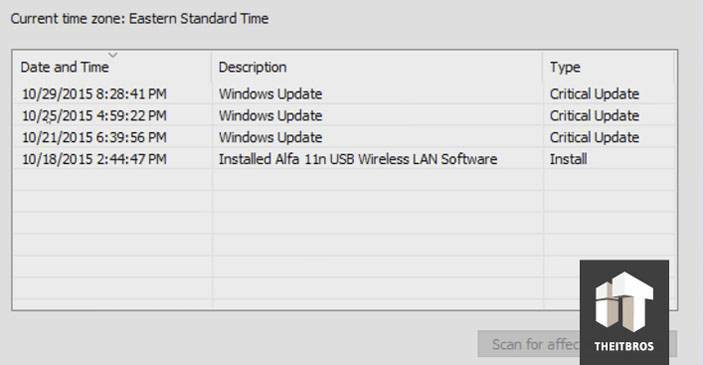 So, you can use a System Restore tool to restore your computer back in time, before the problem caused. Right click on Start button, and then click on Run. Right here type rstrui.exe and click Ok. Now, when the new window pops up, you have to choose a date to restore to. What if this is not working for you so far? In that case you can do a factory reset. The factory reset means getting your PC back to the state when you first bought it. This should definitely fix your issue. Just click on Start button again and go to Settings. Now click where it says Update & Security, and then go to Recovery. 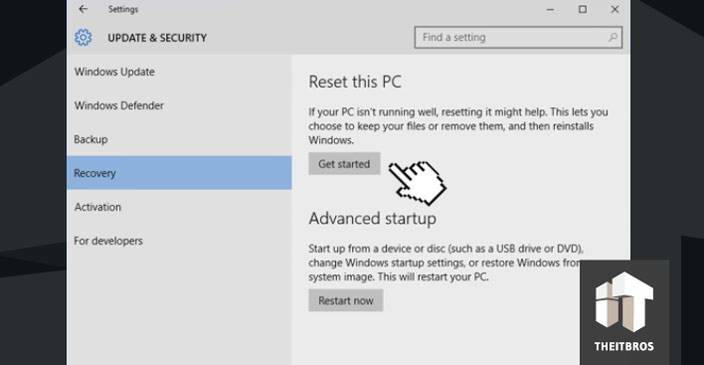 If you want to do a factory reset, just click on the button which says “Get started”. You should select the first option, because it is not necessary to delete all your files. It is enough to remove apps and settings. That’s it. So, here is the fourth way. You will have to dig through the settings a lot, but it does work. 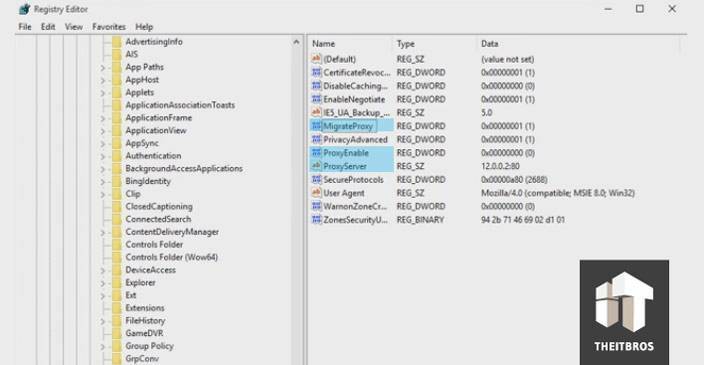 The fourth way involved messing around with the Windows registry. So, first of all, we need to run Registry Editor. So, make sure to delete all these files. Once it done, you need to reboot your PC and then this should hopefully fix your issue. But you have to use this method if you were not able to fix this problem with the first three methods. That’s it. So if you enjoyed this article, please hit the “Like” button. If you have any questions on Can’t connect to the proxy server, you are free to leave them in the comment section below. We are glad that you like TheITBros.com!